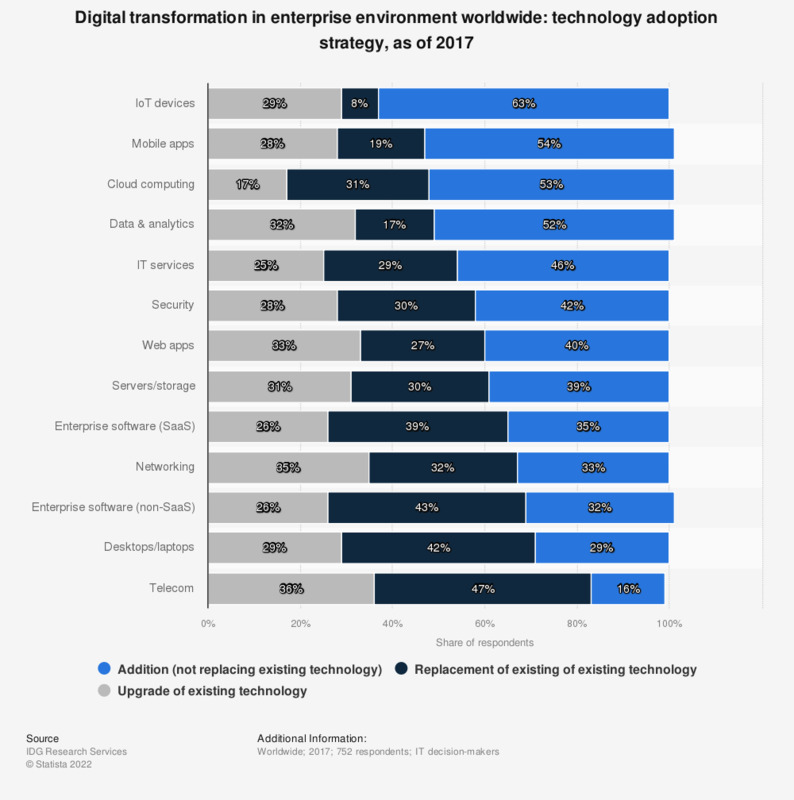 This statistic shows different adoption strategies with regard to digital transformation in enterprise environments worldwide, as of 2017. As of that time, 63 percent of respondents said that they adopted internet of things (IoT) devices in addition to the existing technology in their organizations. What is the most overhyped emerging technology today?